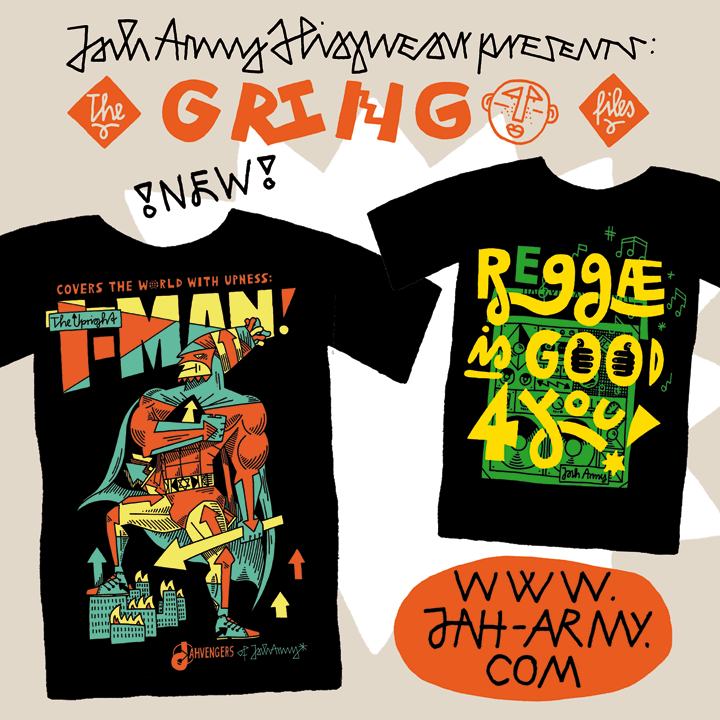 “The Upright I-MAN” design is the first character of the JAHVENGERS of Jah Army series, coming to turn Babylon UP-side down. All JAHVENGERS shirts are strictly limited. Make sure to check the JAHVENGERS comic strip in the next issue of german #1 Reggae publication RIDDIM. 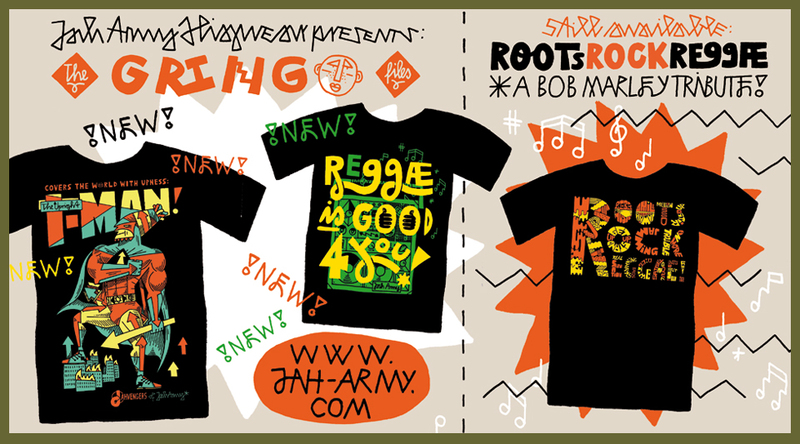 “Reggae Is Good 4 You” is a refix of one of the most successfull Jah Army shirts with the slogan that says it all and also strictly limited. If in doubt you can always contact us here! The shirts arrived fresh out of the press and will are good 2 go right about now. Only 100 pieces each and selling quickly so nuh slumber!